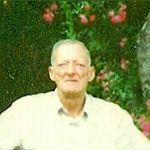 Mr. Lum McHenry, age 75, of Ponce De Leon, Florida passed away November 30, 2007, at his home surrounded by his family. He was born November 5, 1932, in Walton County, Florida to Christopher Columbus and Minnie Ethel McHenry. Mr. McHenry had been a lifelong resident of Walton County. He was Baptist by faith and a member of Knox Hill Baptist Church. He worked as a Bridge Crewman for the Department of Transportation for 26 years. He enjoyed fishing and was a very talented fisherman. He also enjoyed working in his yard. Mr. McHenry was preceded in death by his father, mother and his loving wife Margie McHenry. Mr. McHenry is survived by his daughter, Bonnie Day and husband Earl of DeFuniak Springs, Florida; four brothers, Malcolm McHenry and wife Betty of Freeport, Florida; Kenneth McHenry and wife Presey of Milton, Florida; Lonnie McHenry and wife Sherry of Ponce De Leon, Florida and Mercer McHenry and wife Sandra of Ponce De Leon, Florida and three sisters, Hazel Bell and husband Elmer of Ponce De Leon, Florida; Vera Peters and husband Grady of DeFuniak Springs, Florida and Peggy Hudson and husband Steve of Biloxi, Mississippi. He is also survived by 2 grandchildren, Daniel Day and Jessica Day and one great-grandchild, Jayden Earl Day. A time of visitation will be held at 6:00~8:00 PM, Sunday, December 2, 2007, at Clary-Glenn Funeral Home Chapel; 230 Park Avenue DeFuniak Springs, Florida 32435. Funeral services will be conducted at 10:00 AM, Monday, December 3, 2007, at Clary-Glenn Funeral Home Chapel with Reverend Tom Garner officiating. Burial will follow in the Euchee Valley Cemetery. Those asked to serve as pallbearers are as follows: Dennis Owens, Tracy Owens, David Owens, Jeffery Anderson, Steve Foushee and Todd Foushee. Floral arrangements are being accepted.